Hi friends! Happy Memorial Day! I hope that you’re able to spend the day with friends and family and reflect upon the true meaning of the day. I know that I’m so very thankful of the sacrifice of so many brave men and women who make it possible for us to live amazingly blessed and free in this great United States of America. 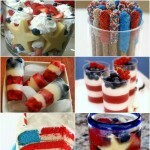 I love these holidays – Memorial Day, the 4th of July and Labor Day, when we can break out the red, white and blue! 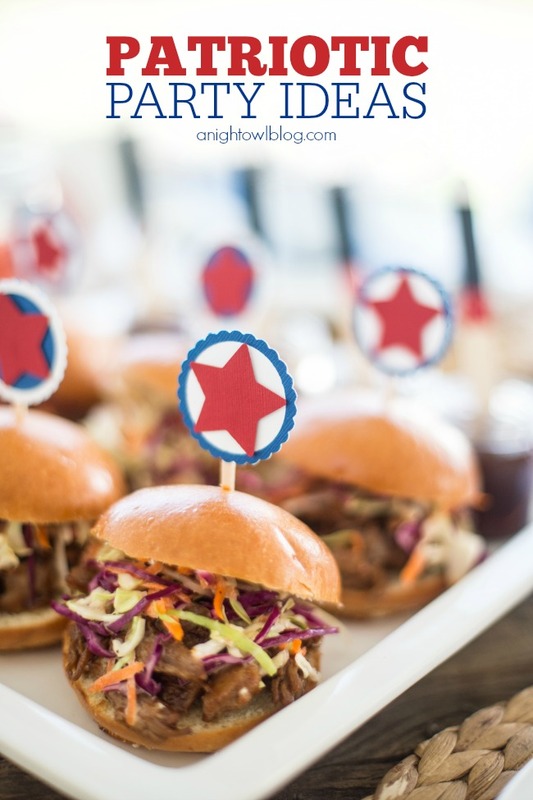 And this month, a few of my favorite local blog friends and I got together to collaborate on one amazing party to bring you the BEST in Patriotic Party Ideas – that you can carry through to any number of fabulous parties! The table was set and styled by the fabulous Destiny of Just Destiny Mag. 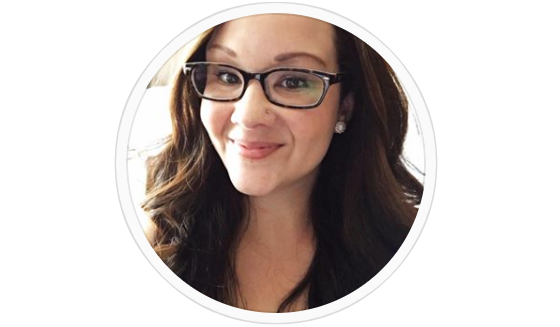 She has one amazing eye for ALL things beautiful! And she was such a joy to work with. I took on the paper crafting for this particular party and had such a fun time being creative! I will be sharing the quick and easy tutorials for ALL of these projects throughout the week, so be sure and stay tuned! 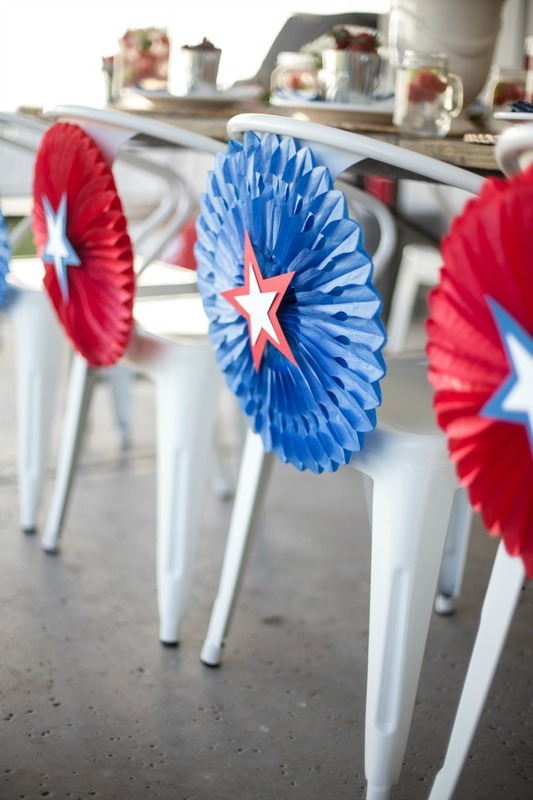 First up were these amazing Patriotic Medallions for the back of the chairs. Bright, beautiful and bold, they helped set the scene. I also grabbed smaller medallions to fashion a quick and easy garland that would be the perfect complementary decor for a dessert or bar cart, table and more! On to the food! 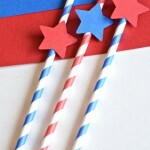 These Patriotic Party Toppers were so fun and easy to make. 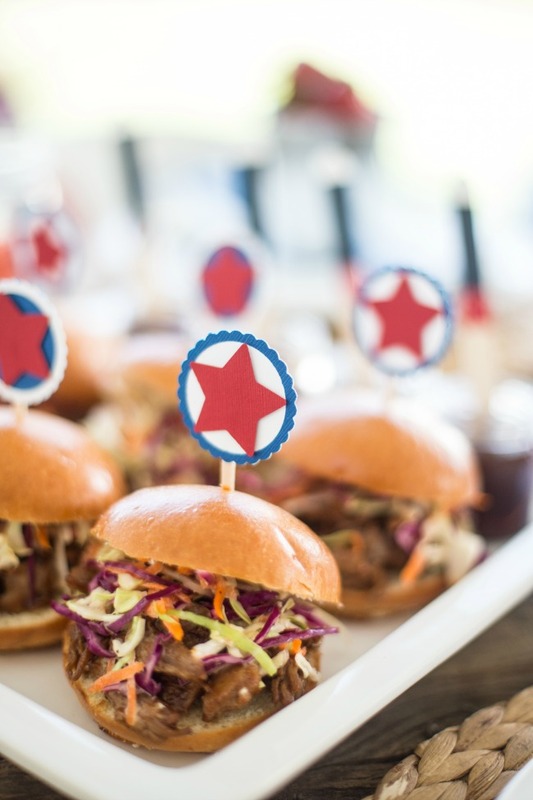 I love how they complement the beautiful Pulled Pork Sliders and give just the right amount of Americana feel. 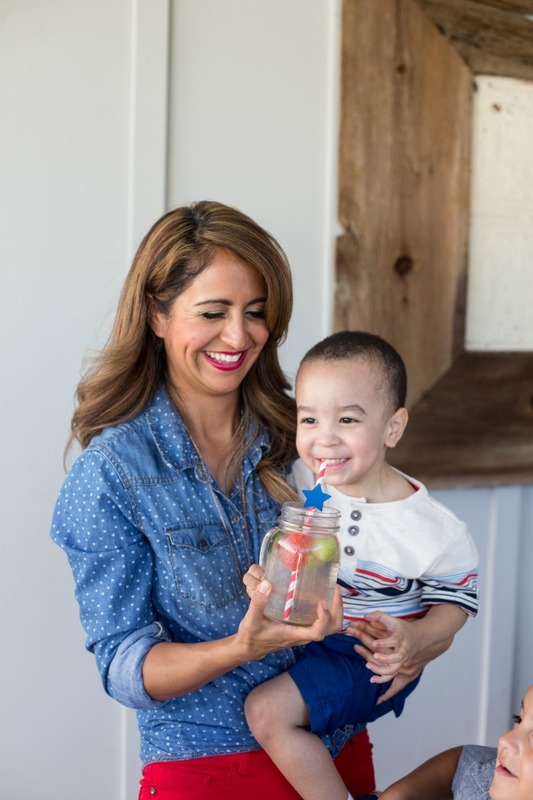 No party would be a true party without pretty paper straws, right? 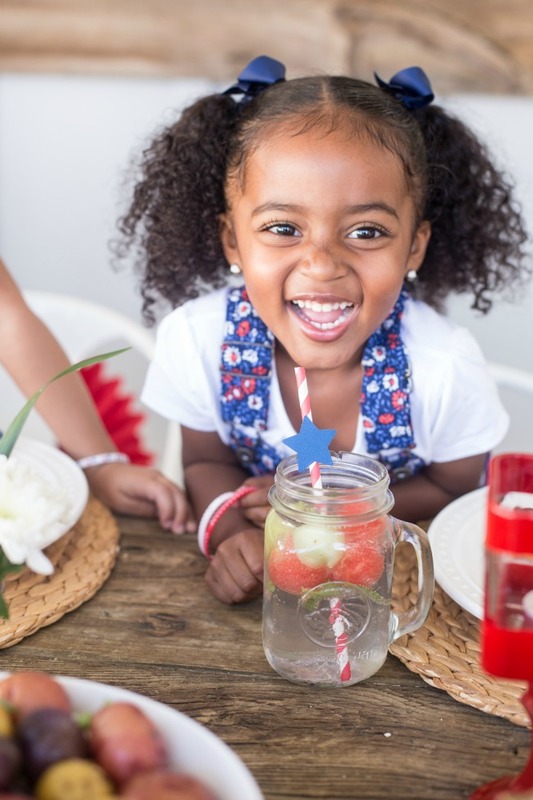 Well for this party we even kicked up the straws a notch with these Patriotic Paper Straws! The sky is the limit and even little embellishments add a special touch and look just downright adorable, don’t you think? 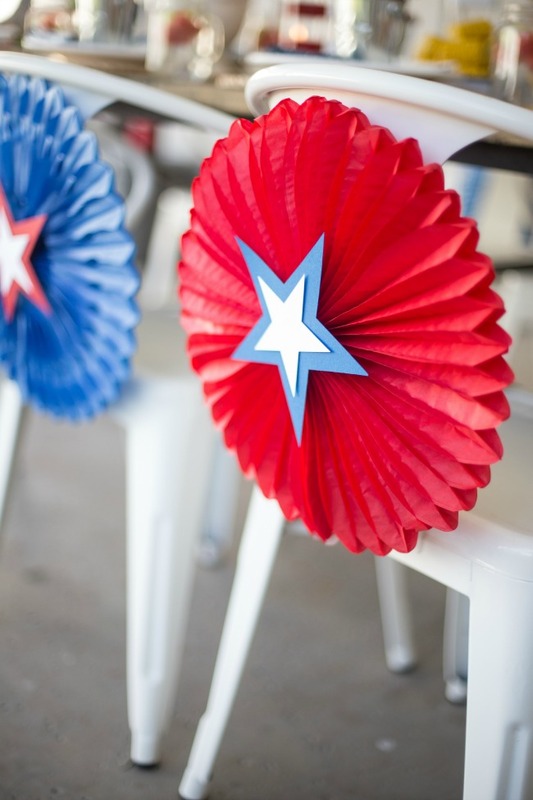 Break out the Patriotic Striped Bunting for another fun paper option! 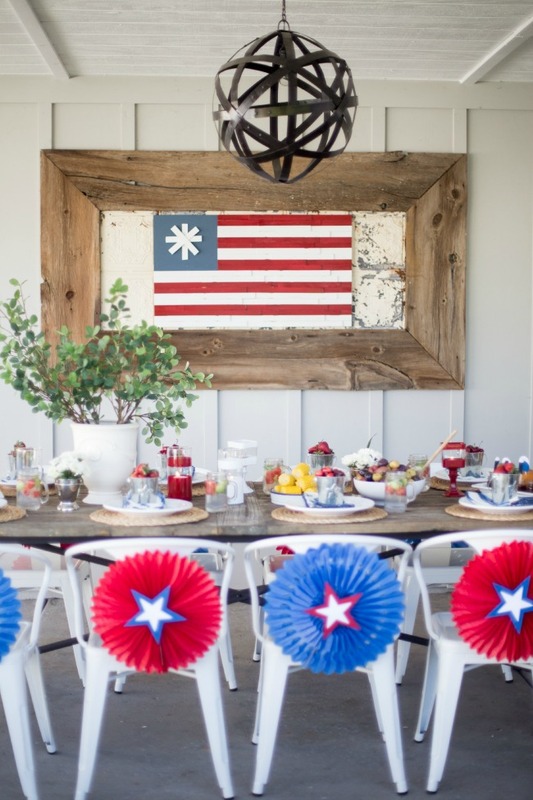 Pair the bunting with blue stars or ribbon for an added Americana touch! And last but not least, we broke out the Red Flyer! How CUTE are these kiddos! 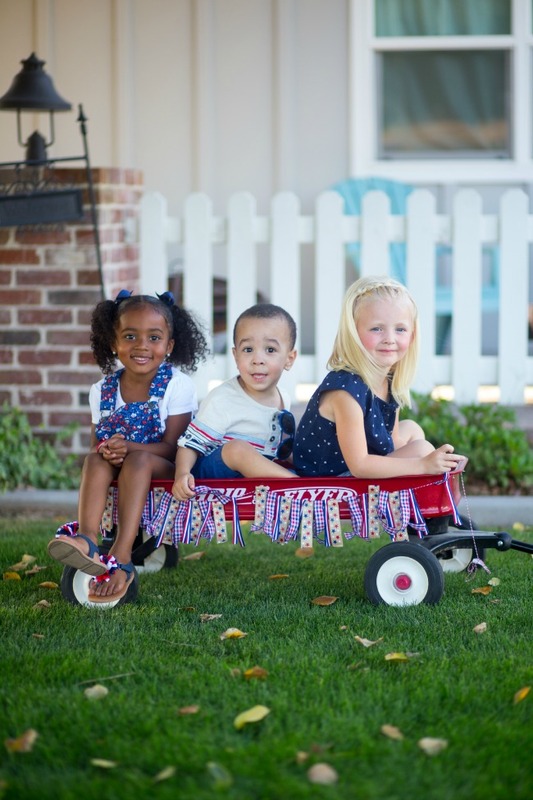 You might recognize that cool little dude in the middle… We jazzed up the red wagon this time around with a No-Sew Patriotic Ribbon Garland, easy to make but packs one adorable punch! Overall the party was one beautiful success. 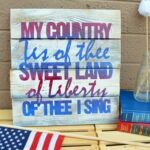 It really put me in the mood for all things Red, White and Blue! How about YOU? 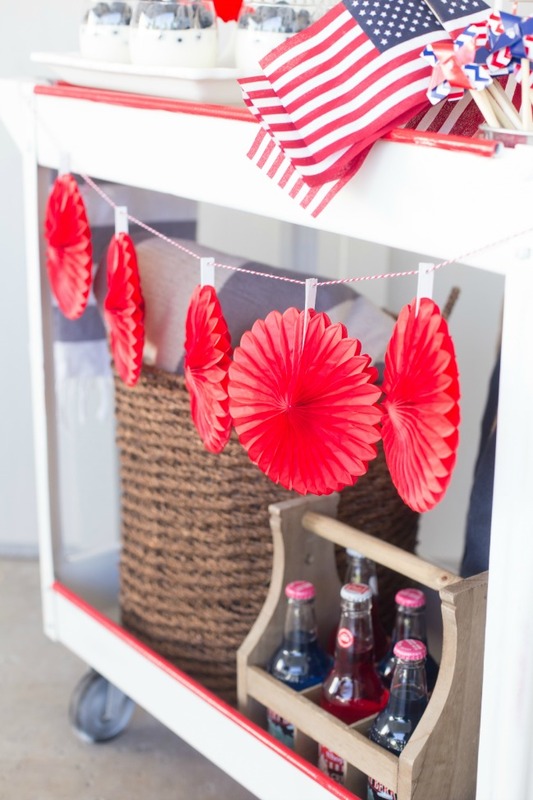 Perfect for this time of year, these Patriotic Party Ideas are sure to take you far! Now I’ve only highlighted just a FEW of the amazing scenes and projects from this gorgeous shoot, be sure to head over to all of these lovely ladies’ blogs to get the details on the rest! And be SURE to head back to the blog over the next week or so to get the quick and easy steps to these cute craft projects! 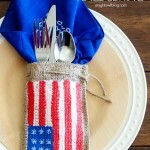 Perfect for YOUR next Patriotic Party! Looks like an amazing party! All of y’all did an amazing job! Perfectly decorated party! 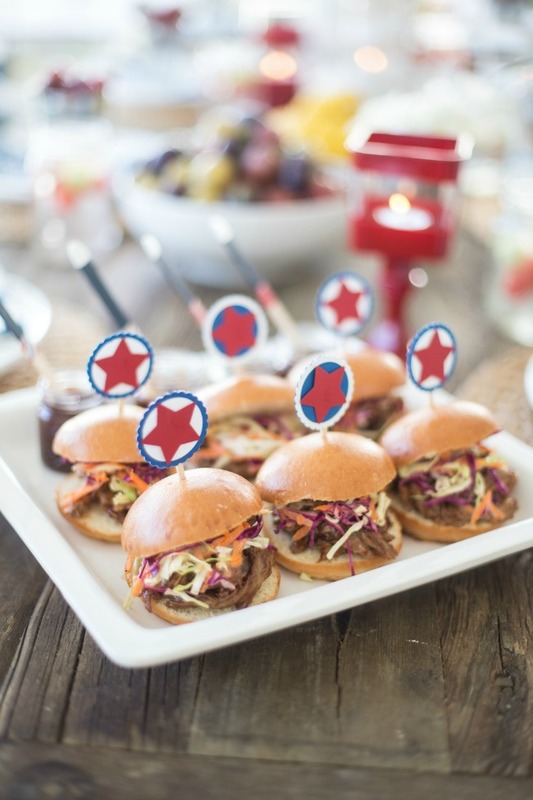 I especially like the toppers for the sliders. 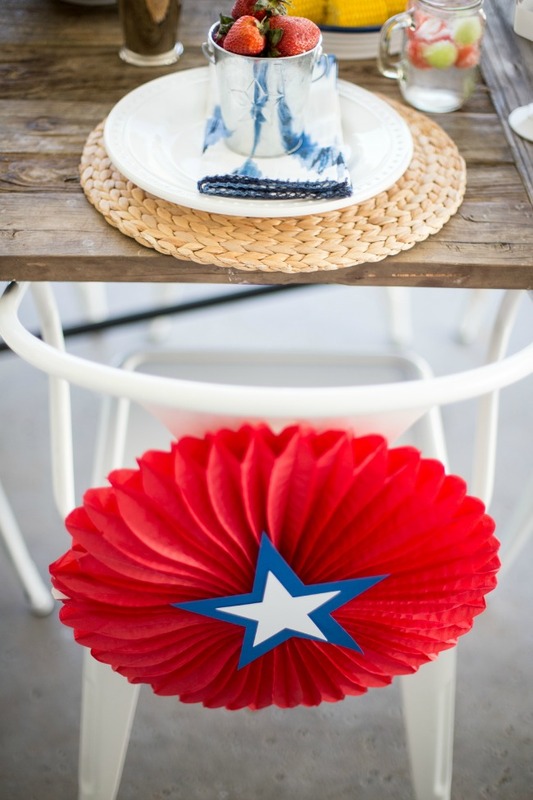 Thank you for sharing these red white and blue ideas at See Ya in the Gumbo this week! Hi Kimberly, thanks for sharing your festive ideas with is at Best of the Weekend – great post and ideas – pinned to our party board!